The moving trucks have rolled away, and now it’s time for your or your clients to get to work setting up the new home. The temptation might be to start tearing into boxes without a real plan, but that’s not the best approach. Just as proper packing can eliminate moving-day stress, being organized when unpacking is just as important. Keeping these tips in mind during the unpacking process can help ensure a stress-free experience! In most homes, it makes sense to start with the kitchen. You’ll need to prepare meals, and having the ability to run in and grab a snack or a cup of coffee while you set up the other rooms will help you start to feel at home. Another reason starting with the kitchen is a good idea is because it’s usually the room with the most stuff. Getting that room squared away will take a load off your mind and make the other rooms feel like light work. Next, move on to the bedrooms. Every member of your household will appreciate having a comfortable place to sleep. Even if you can’t get around to putting all the clothes away and taking care of other details, at least get the beds set up and the furniture in the proper places. While you may want to set up the TV so the family can enjoy a movie at the end of a busy day of unpacking, don’t worry about fully unpacking the shared living spaces until the bedrooms are done. This is a perfect example of how smart packing will make for easier unpacking. There are several items you’ll need or want within a day or two of moving that might not all belong in the same room. That’s why you should pack an essentials box. These items may have nothing in common other than you’re going to need them—and you may not have time to through every box to find them. Examples of items to put in the essentials box include dog leashes, cell phone chargers, and TV remotes. In addition to the household essentials box, you should also prepare one for each member of the family (older kids can prepare their own.) These personal boxes will include basic toiletries, extra contacts, a favorite book, and anything else they will want right away. As you work through each room, don’t bother looking for specific things. For example, if you find the perfect spot for the Vitamix, don’t abandon the box you’re working on to start looking for the blender. You’ll get to it, and the perfect spot will still be there. Instead, work methodically, finishing up one box before moving on to the next. Keep the area as clutter-free as possible by breaking down boxes as you go and throwing away packing materials one box at a time. It’s must easier to work in a space that isn’t filled with empty boxes. As you unpack, put everything in its place. . If you don’t have a place for it may be time to get rid of it. 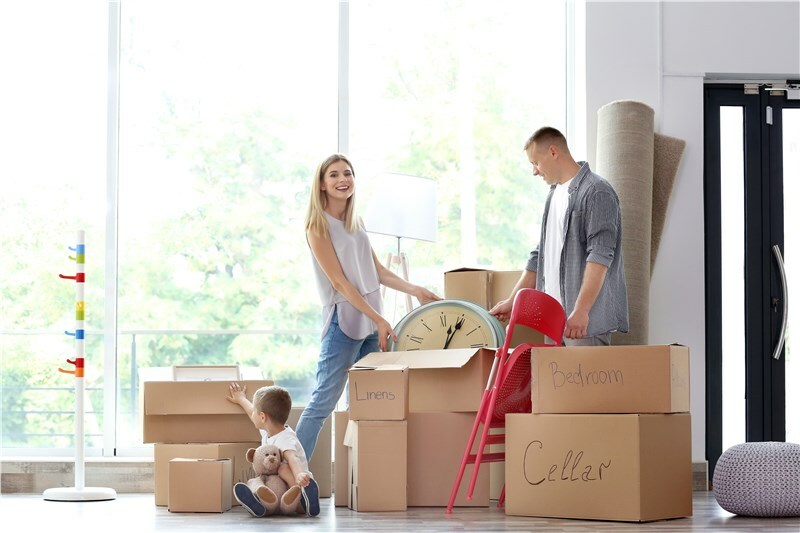 While this should have been done during the packing process, unpacking is another chance to get rid of things for which you don’t have room or that you don’t need. Don’t unpack by making piles of stuff that you’ll later have to find places for—that’s like unpacking twice. Instead, as items come out of the box, put them in their place. Once you take it out of the box, don’t set it down anywhere but where it belongs. These tips will help you stay organized and complete you unpacking more quickly. If you’re looking for professional moving help, call on the services of Booth Movers—a trusted choice for more than 70 years. Give Booth Movers a call to learn more about our exclusive program just for realtors! By joining our Premier Partners Program, you’ll be able to offer your clients special pricing and VIP benefits! We’d love to be your go-to resource for all things moving and storage.